Saiga live in a land of extreme climates. The saiga antelope has evolved to be perfectly adapted to its life in the steppe and semi-arid desert of Central Asia and Russia. 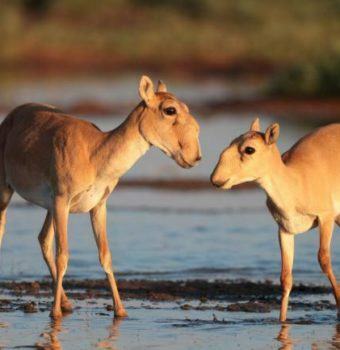 The Saiga Conservation Alliance works across the saiga’s range to secure its future. Resembling a character from a Dr. Seuss book, the saiga antelope has evolved to be perfectly adapted to its life in the steppe and semi-arid desert of Central Asia and Russia. 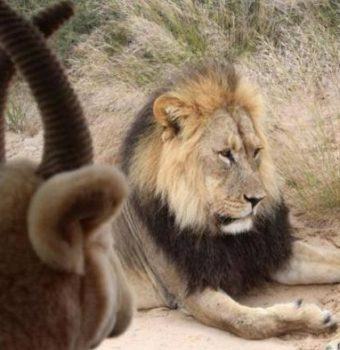 It is a relic of Ice Age fauna that included mammoths and saber-tooth cats. The saiga lives in some of the harshest land in the world and migrates long distances between summer and winter lands. 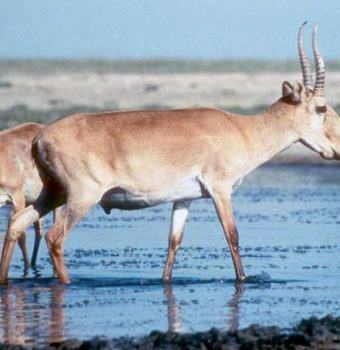 Herds of saiga once numbered in the millions, but today only 160,000 survive. The saiga population crashed by 95% in fifteen years, the fastest decline ever recorded for a mammal species. Saigas are hunted for their meat and their horns, which are believed to have medicinal purposes. The fate of the saiga was closely tied to the economic downfall of the USSR in 1991, which resulted in the collapse of rural economies and in turn led to widespread unemployment and poverty. Saiga poaching provided a source of food and income. 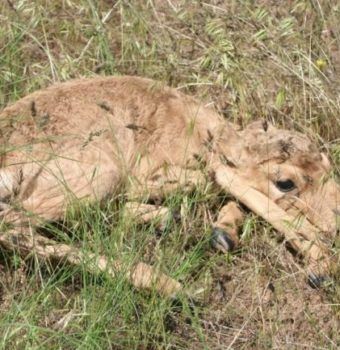 Saiga grazing is also threatened by increasing livestock numbers. 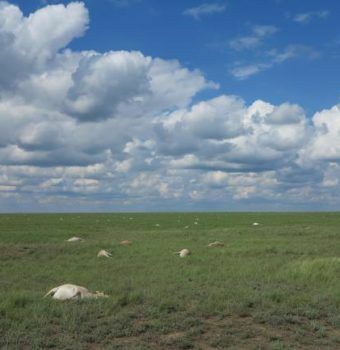 The Saiga Conservation Alliance (SCA) works across the saiga’s range to secure its future. 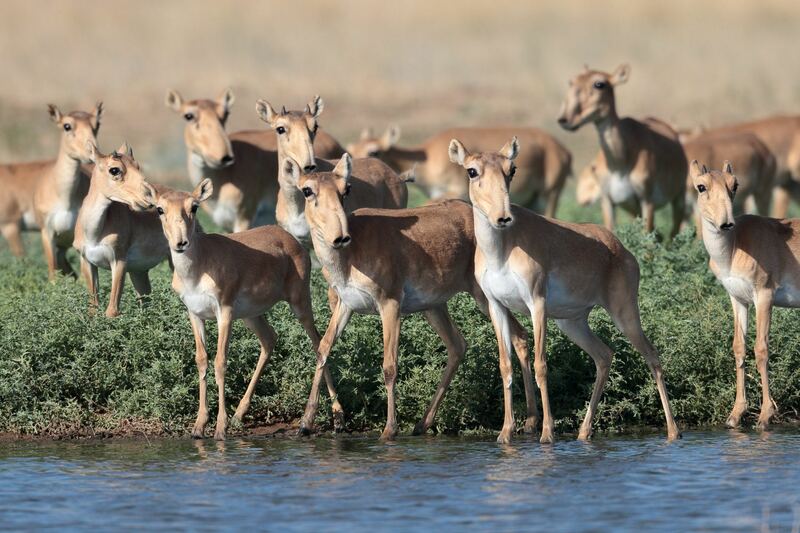 Recently, the saiga population has begun to increase again, thanks in large part to the efforts of SCA. Spread the Word! 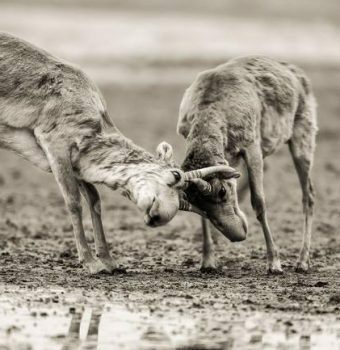 Connect with Saiga Conservation Alliance on Social Media. Saigas' unique nose helps them in severe climates. With their large, unusual looking nose saigas can heat up the air in freezing winter temperatures and filter the air in hot, dusty summers. Watch this video from TV network HITN and learn more about this amazing animal and how Saiga Conservation Alliance is working to protect them. 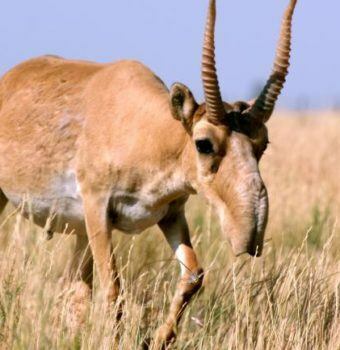 Women are a powerful voice in the household, and if they see the benefits of saigas as part of their culture, they will tell their sons and husbands not to poach and they themselves will not buy saiga meat. 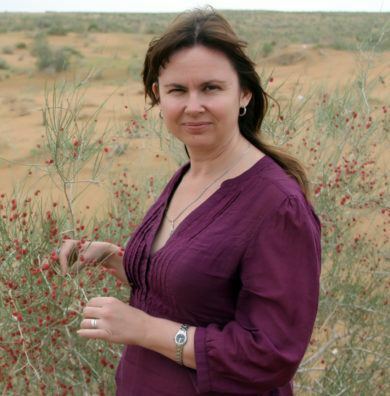 Elena Bykova, a native of Uzbekistan, is a founding member of Saiga Conservation Alliance and a leader for saiga protection in her country. 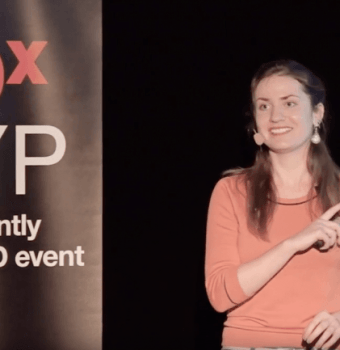 She has a strong background in field research, as well as a unique ability to foster collaboration among community members and influential leaders. Elena won the prestigious Whitley Award for her work with the saiga. 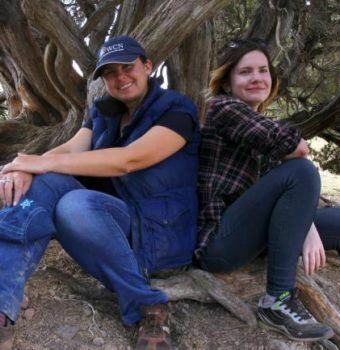 In this young and growing project, Elena and her team are actively making a difference for the saiga antelope and the people of the region. Local community members known as Saiga Friends are actively working with SCA to map the distribution and migratory patterns of the saiga. 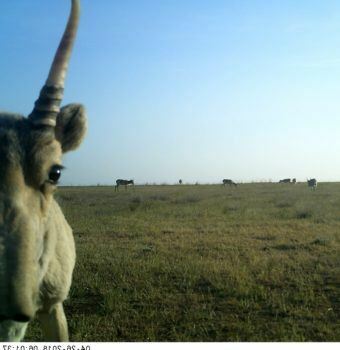 This monitoring helps SCA understand the effects on the saiga of new developments, such as a border fence between Kazakhstan and Uzbekistan, and also empowers Saiga Friends (who include former poachers) to take pride in and earn revenue from the saiga. 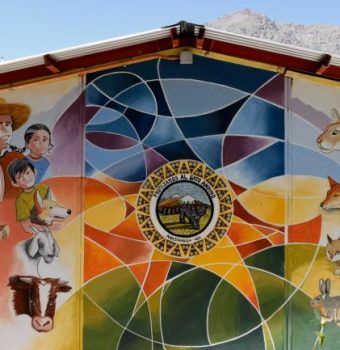 SCA brings attention to the plight of the saiga via media appearances, railway station signs, and community-based school talks and puppet shows. 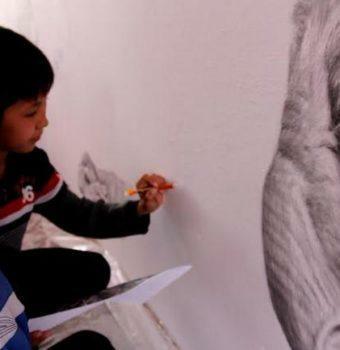 They have produced a cartoon about the saiga for children as well as an award-winning saiga documentary and an educational video. The annual Saiga Day is a festive event celebrated in villages throughout the saiga’s range. To encourage people to stop buying saiga meat in local markets and thus decrease the demand for poaching, SCA helps women set up embroidery collectives. The new income the women receive from selling the embroidery allows them to transition from buying saiga meat to buying more expensive sheep meat. The income can also lessen a husband’s need to poach saiga to provide for his family. 35-40% Fill 1 Created with Sketch. 2000 Fill 1 Created with Sketch. $90 will help a woman in rural Uzbekistan buy materials and equipment to start her own embroidery business. 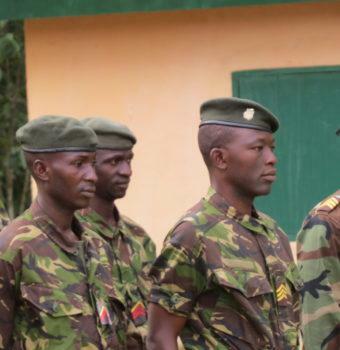 $250 buys an infra-red camera, essential to help locate poachers who operate at night. $1,200 will buy essential field equipment—such as tents, binoculars, field guides, uniforms, and transportation—to hold eco-camps for children living in remote steppe communities. Donations of any amount can provide ex-hunters and unemployed men in rural villages with training and technical equipment to monitor and track saiga. 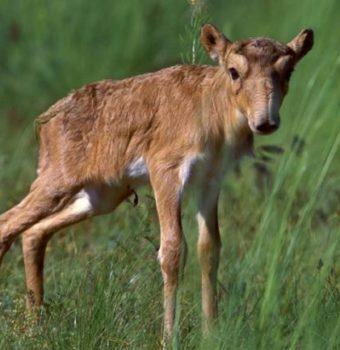 The world population of saigas has crashed by an astounding 95% in the past 20 years, due to threats like poaching for saiga meat and horns and catastrophic disease outbreaks. Saiga Conservation Alliance (SCA) is working on the frontlines to tackle these threats to protect saigas.